Background: The Merced National Wildlife Refuge encompasses 10,258 acres of wetlands, native grasslands, vernal pools, and riparian areas. The Refuge plays host to the largest wintering populations of lesser sandhill cranes and Ross' geese along the Pacific Flyway. Each autumn over 20,000 cranes and 60,000 arctic nesting geese terminate their annual migrations from Alaska and Canada to make the Refuge home for six months. Here they mingle with thousands of other visiting waterfowl, waterbirds and shorebirds making the Refuge a true winter phenomenon. The Habitat: Seasonal freshwater wetlands (40%), native grasslands and associated uplands (50%), riparian corridors (10%. The Experience: Part of the 228,000-acre Grassland Ecological Area which contains the largest contiguous block of freshwater marsh wetlands remaining in California, the Merced National Wildlife Refuge and surrounding area are home to over a million wintering ducks, geese, and other waterbirds. The refuge hosts the largest wintering populations of Ross' geese and lesser sandhill cranes along the Pacific Flyway. The area is recognized as a Wetland of International Importance by the Ramsar Convention, and as a Western Hemisphere Shorebird Reserve Network Site, and as an Audubon Important Bird Area. Wildlife and Where to Find It: Auto tour route, observation platforms, and nature trails. To minimize disturbance to wildlife, visitors along the auto tour route must remain inside vehicles except at parking areas, nature trails, and observation platforms. Ducks & shorebirds can been seen throughout the auto-tour loop. Don’t miss the walking trail (W/C accessible) and small oardwalk located halfway through the tour loop. Close-up and personal looks at shorebirds in feeding and resting flocks can been seen from this area. 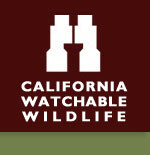 Viewing Tips: Wildlife Observation possible year round. Waterfowl and sandhill crane birding best in winter. Environmental Education and wildlife interpretation offered year round. Waterfowl Hunting in fall and winter. Site Notes: Visitors will experience different spectacles throughout each season. In the winter, flocks of 60,000 snow and Ross' geese produce a white blanket across wetlands and uplands. During the spring, visitors will see Swainson's and red-tailed hawks engage in courtship flights. How to Get There: The refuge is located 15 miles southwest of city of Merced. To get there, travel approximately 10 miles south of the city of Merced on State Highway 59 to Sandy Mush Road, travel west on Sandy Mush Road for approximately 8 miles to the refuge entrance on the south side of the road.